There are a lot of bridges in Samuel P. Taylor State Park but I only stopped to photograph a few of them. The Shafter Bridge (27P0039) is a single span prestressed concrete box girder bridge that is 70 ft long and built in 1982. 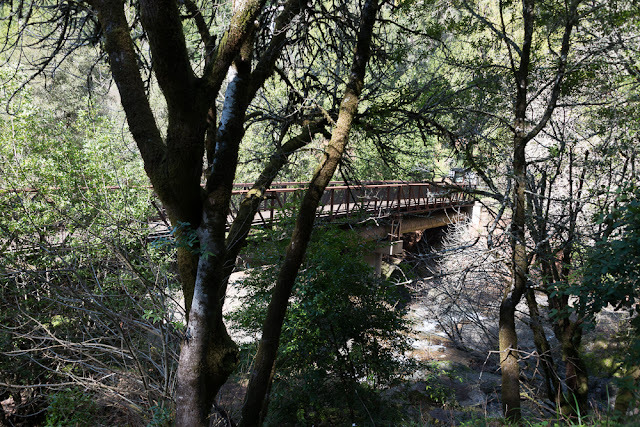 The nearby San Geronimo Creek Bridge is a two span steel through truss that carries pedestrians on top and two large diameter water mains below. 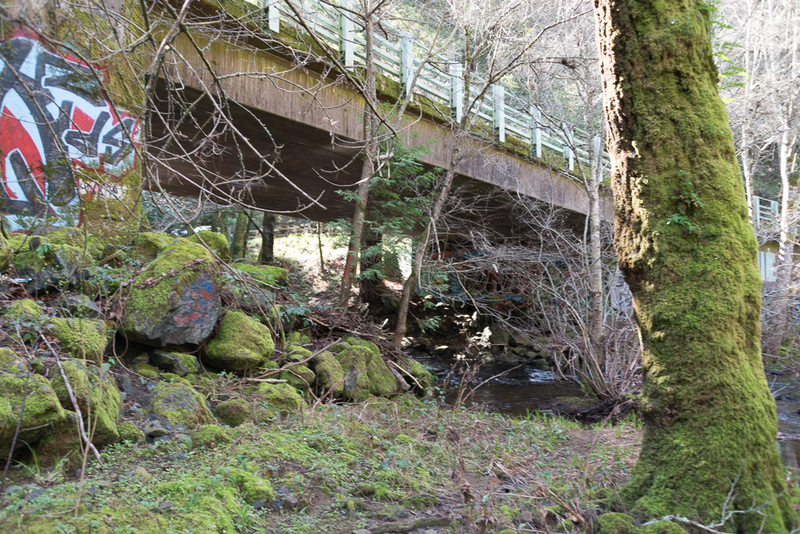 There are many more park bridges in this area between Sir Francis Drake Road, Kent Lake, and the town of Lagunitas. Marin County, California Bridges: Samuel P. Taylor State Park Bridges by Mark Yashinsky is licensed under a Creative Commons Attribution-NonCommercial-NoDerivatives 4.0 International License.